What Will 2013 Bring to Online Gambling? The past year has seen massive developments for online and mobile gambling; new operators were set up, products released and technologies utilised. While it is impossible to completely predict what the next year will bring there are three things that seem fairly certain. The third generation of Apple TV was released this year, while online gambling hasn’t yet appeared on these devices given its popularity on smartphones and tablets it is only a matter of time before it spreads to Apple TVs and similar devices. Earlier this year Microsoft released its latest operating system, Windows 8. While it remains to be seen if the OS proves to be a hit, there is already evidence that the leading online gambling operators will be ready with new apps to supply should they be necessary. Finally, Research in Motion, the makers of BlackBerry is expected to release its next model, BlackBerry 10, early in 2013. 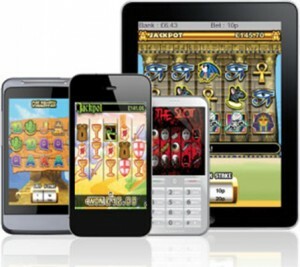 It wouldn’t be surprising if it proves to be the next big thing in mobile casinos. If the phone takes off then gambling operators are bound to start producing compatible apps.